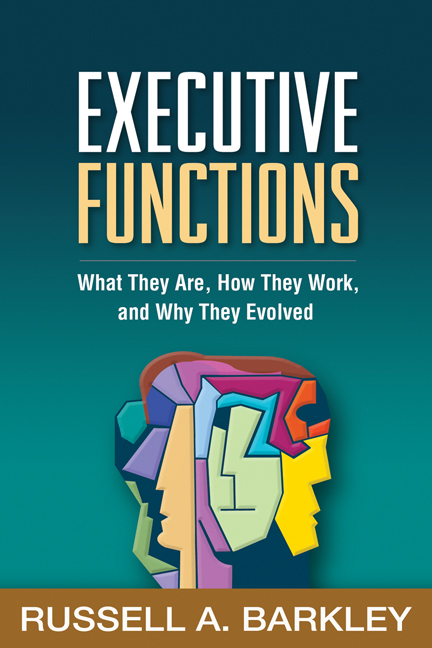 This groundbreaking book offers a comprehensive theory of executive functioning (EF) with important clinical implications. Synthesizing cutting-edge neuropsychological and evolutionary research, Russell A. Barkley presents a model of EF that is rooted in meaningful activities of daily life. He describes how abilities such as emotion regulation, self-motivation, planning, and working memory enable people to pursue both personal and collective goals that are critical to survival. Key stages of EF development are identified and the far-reaching individual and social costs of EF deficits detailed. Barkley explains specific ways that his model may support much-needed advances in assessment and treatment. See also Barkley's empirically based, ecologically valid assessment tools: Barkley Deficits in Executive Functioning Scale (BDEFS for Adults) and Barkley Deficits in Executive Functioning Scale—Children and Adolescents (BDEFS-CA).